This blog is dedicated to all things Ottawa: it’s history, local events, and things to be excited about in the future of our City. Below is a little about me, but if that doesn’t interest you, then please jump straight into the posts. Ravi Shanghavi is a professional in project management and computing from Ottawa, Canada. Ravi works and lives in Ottawa, Canada, where he specializes in computing, IT and project management. Most prominently, Ravi President of Ottawa-based luxury home developers Antilia Homes. Formerly, Ravi has been hired by various international technology firms, such as HP and Nokia, as an IT architect. Ravi has a great deal of experience in systems design, and has created systems that can manage over 30,000 requests per day: planning, managing and overseeing the entire project himself. Alongside his busy work schedule, Ravi has found time to study at the Edinburgh Business School. Ravi was awarded an MBA, which he adds to his already-exhaustive list of certification and qualification, including his designation as a Project Management Professional. Despite all of this, Ravi Shanghavi of Ottawa still makes time for one of his favourite hobbies – blogging. Ravi has built a small network blogs, such as his car blog, tech blog and even his food blog. 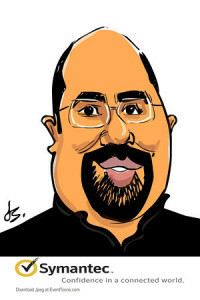 Ravi’s series of blogs and sites are ever-expanding, but all of them can be found here.